We're always delighted when our customers send us their pictures so we were especially thrilled to receive a few different images from a customer who exhibits an obvious talent in photography! 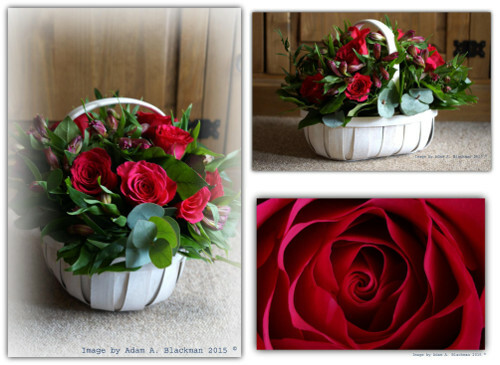 The photography of Adam Blackman really manages to capture the indelible beauty of our flower bouquets and baskets (if we do say so ourselves) but don't take our word for it - instead feast your eyes on the images themselves which are presented here in all their glory. First up we have resplendent roses presented in a pretty white basket with front and side views as well as a spellbinding close up of one of the roses. A big thanks to Adam for sending us these spectacular images! 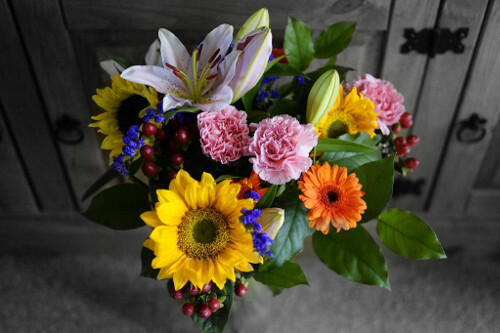 And remember, if you are a keen photographer and have received a Clare Florist bouquet, you too can see your own images featured here, simply get in touch via Twitter or Facebook.